Shopping for a tween's birthday present can be a tough venture. Their tastes change frequently, enough to make an adult's head spin, so when it comes to shopping early - just forget it! tweens can be picky and selective, and yet still often exhibit the childish excitement of having something given just to them no matter what it is. Since tweens are emotionally nestled in a place between childhood and adolescence, you'll find that most will be thrilled to still receive toys as long as the choices are specific to their ages and stages of development. These toys are comforting and can be enjoyed at home, where tweens typically feel more free to act like the kids that they are. Iconic characters like Thurston Howell, III from Gilligan's Island and Diane Chambers from Cheers loved their stuffed animals throughout their lives; so do many real life tweens, teens, and adults. tweens are still young enough to enjoy the fanciful fun of a stuffed animal. You can opt to get them a stuffed animal that has an extra function, such as scented plush toys or a talking plush character from Marvel's Guardians of the Galaxy 2. Then again, traditional animals like teddy bears are usually appreciated, too. Squishable pets are contemporary plush toys that kids between the ages of 10 to 12 will enjoy. They can cuddle with them while watching television or playing video games, and all the animals appeal to both sexes. You can buy them directly from the Squishable website. Go with the trend and give a Sock Monkey, which is suitable for a boy or a girl. While people have been making sock monkey toys for centuries, it only recently became a hot, must-have toy. If you are looking to make an even bigger statement, you may opt to buy large, personalized plush animals. You can have the tween's age on this customized toy so that it can always be a lasting tribute to this age and stage of his life. With the large variety of animals that are available, you can select one that best matches the kid's interest or personality. You can't get much hotter than Monster High right now. The Mattel characters were first created by Garrett Sander for Mattel in 2010. The characters appear in a direct-to-DVD film, a web series, and television specials. The dolls are spooky but still adorable. They have a great appeal for tweens who love daydreaming about the world of high school and who may not still be willing to express "oohs" and "ahhs" over Barbie. The Monster High characters are inspired by classic horror flicks like Poltergeist, monster movies, fairy tales, science fiction tales, and other unusual creatures that really make these dolls unique.You can buy a wide variety of goodies related to this hit franchise, including the original dolls, clothes for the dolls, bedroom decor, apparel, school supplies, bags, key chains, and even video games. Nearly any toy store carries the Monster High line of dolls and accessories. While many tweens may feel like they are too old for dolls and toys, they will still appreciate action figures. You can find action figures for modern movies like Captain America and Spider-Man from Hasbro. Action figures can be collectibles that are kept well into adulthood, so choose carefully. Your tween may prefer action figures of members of bands like One Direction or characters from movies like Star Wars and the Harry Potter series of films. Kids often start developing their tastes when they're between the ages of 10 and 12. Encourage their individuality and unique preferences while also guiding them towards quality music when you give them gifts related to those interests. Gift cards to empower them to download any music they want are always a winner. However, if you want to go with something more personal that will remind them of your kindness, try these presents. Show the tween in your life that you are paying attention and support the things she enjoys. Give your child posters, tour merchandise, and accessories of their favorite singer to acknowledge her passion for favorite artists.You can find memorabilia of artists like Taylor Swift, who touches the imaginations of tweens with her heartfelt lyrics that she pens herself. Ms. Swift has an entire online shop that features replicas of pajamas she wore in a music video that are sized just right for kids. Other fun gifts there include replicas of the cat ear headband that she wore in her popular video, 22. Every tween either has or wants an iPod. Apple has made them reasonably priced and packed with great features. From the Shuffle, which starts around $49, to the iPod Touch in the hundreds of dollars, you can find something within your price range your tween will love. They come in several different colors, so ask questions about your tween's favorite colors before shopping if you're not sure what he currently prefers. Does your tween already have a mp3 player? Consider the endless accessories available including iPod skins, belt clips, speakers, an alarm clock, charms, and carrying cases. Handing over an iTunes gift card can be a fun addition, but the presents really stand out themselves. You can shop at the online iPod shop or browse the selection at your local Apple store. Many tweens are beginning to crave more attention as they explore their interests and future career dreams. If your tween has always wanted to step into the spotlight to sing, a perfect present can be a karaoke machine, something that remains on many best-seller lists for tween toys. If you aren't sure that this is something your tween will be into for a long time, you can get a basic machine for under $50 at your local toy store, or you can shop at electronics shops for more expensive, high-quality karaoke machines with advanced features. What's even cooler about this present is that you can also theme your tween's party itself around the karaoke fun. It's no secret that tweens love video games. They also will still enjoy a well-chosen board game, too, and games for tablets are growing in popularity among tweens. No matter what her primary interests are, there is a game out there for the tween in your life. There are a plethora of board games that are age-appropriate for tweens. Start your search with games that cater to your tween's interest but will also pose a challenge. Nothing's more boring than a game that's easily completed! Scene It has a wide variety of DVD board games available, and you are sure to find one that fits your tween's interests just right. 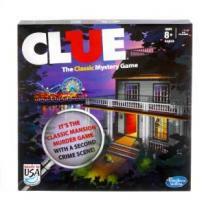 Clue is a timeless board game that's still cool enough for tweens. If you know that the gift recipient does not have this one, it will likely be a much-appreciated addition to his game collection, and it's available at nearly any toy store. Other board games that are likely to be played many times by your tween and his friends are Pop Cranium, Twister, Scrabble, Apples to Apples, and Reverse Charades. Not all tweens have a smart phone, but many kids between the ages of 10 to 12 now enjoy tablets. Plants vs. Zombies and its sequel, Plants vs. Zombies 2, are challenging but very accessible to tweens; they seem edgy but are even kid-friendly; find them at such shops as the iTunes App Store. Racing games, puzzle games, and sports games are also popular. You can gift these games from many app stores directly to the recipient's account. Few things will pique a tween's interest in a game like one that features a character he loves. The Warner Bros. shop showcases a wide range of themed games that tweens are likely to enjoy, including Harry Potter puzzles and a Hobbit-themed game. Card games like Dominion and Magic: The Gathering can give hours upon hours of entertainment for years to come. 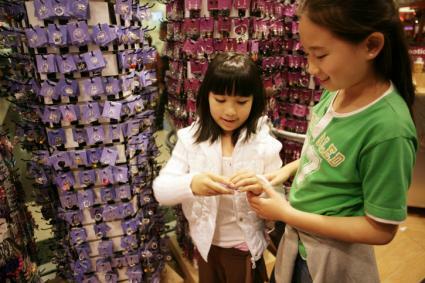 Almost all tweens would love to receive jewelry as a birthday gift. Many tweens long to be able to express themselves with what they wear, so jewelry that is chosen specifically for what they want the world to know can be a gift that's cherished and worn for years to come. If your child is passionate about theater, dance, or playing a musical instrument, get them the perfect necklace or bracelet that expresses this fantastic hobby from The Music Stand. That arts-themed shop even sells jewelry boxes for the tween who already has too much jewelry (if there is such a thing for some kids). The Disney Store offers cute necklaces that are just right for tweens. The store caters to people of all ages and stages to life, but you can navigate to tween-appropriate choices pretty quickly. A young girl may adore the personalized touch of having her initial charm on a necklace with Mickey or one displaying a heart with Mickey in the middle. Religious tweens will enjoy sharing their faith through necklaces, bracelets, and earrings. It's one way of letting others know what's important to them. ChristianBook.com has jewelry like a necklace with an encouraging Bible verse around a basketball charm and a watch with a cross in the middle. Sometimes the best thing that you can possibly give your tween is a vote of confidence in their talents and abilities. A creative tween will want to squeal for joy when you give a present that enables them to do what they love most or perhaps learn how to play a musical instrument that they adore. Consider these options for the artistic tween you know and love. Tween girls love to accessorize, so providing them with bead kits, friendship bracelet kits, or other crafts they can wear is a considerate idea. Kits can range from the simple and inexpensive to the truly unique and elaborate, and they can be purchased anywhere from your local box store toy aisle to high-end crafting boutiques. You may opt for a spa kit for older tweens who are just showing an interest in perfumes and wearable scents. Other sort of craft kits include ones that enable your tween to make his own greeting cards. An aspiring artist will enjoy being able to easily create a way to showcase their own artistic achievements in cards that be given to loved ones. Quilting, knitting, and sewing kits can help tweens learn skills that will serve them for life. Not all musical instruments have to be loud and difficult to learn. You can find inexpensive, high quality musical instruments in toy shops that are just right for the tween who dreams of being a rock star or simply composing her own songs. If the tween you know lives in an apartment complex or needs to keep noise to a minimum, you can buy starter electric guitars and keyboard with a headphone outlet so that only the player can hear the music. Also, you may opt to choose an instrument that your tween can later play in the school band, so she can get an early start on learning. The Guitar Center offers value packages so that you can help your tween get started with everything that's needed to learn to play the guitar. Also, Taylor Swift offers a smaller guitar just for younger girls that has her signature on it. The personalized feel and smaller size can help younger girls get ready to rock without being intimidated by an instrument that is too large for their growing bodies. There is also another small guitar design that tween boys and girls may enjoy, and it is available at a lower price point. So maybe your tween has not yet showcased any specific artistic talent, yet you know that he is interest in the arts. You can help the tween find her own way within the arts with a gift that simply celebrates the arts. A really cool, coffee table art book will appeal to a tween who has shown an interest in a particular artist. The gift shop at the Museum of Modern Art also offers toys that are suitable for tweens, such as the Andy Warhol puzzle and the Keith Haring paint set. Sometimes you may find yourself in the position where you need to give a present to a tween that you don't know very well. Don't panic. It doesn't mean that you have to risk the embarrassment of presenting the relative stranger with a gift that's too specific to match his interests. Here are some options for any tween. A magazine subscription is a perfect gift for any tween that keeps on giving throughout the year. CosmoGirl is an ideal choice for a tween girl, and for the boys there are a large variety of magazines available according to their interests. Does your tween enjoy science? Cars? Technology? Travel? Whatever their passion, there is a magazine available for them. Speaking of gift cards, these can be an ideal gift for a finicky preteen. Giving the child the chance to go shopping with friends and relish in that hotly desired independence can make you the coolest parent on the block. Gift cards to the movie theatre, to a gym, or some other activity related venue can be a good move, as are cards to the most popular stores such as Gap, Abercrombie, Hollister, and lower end favorites like Kohl's or Target. Finding birthday gifts for tweens doesn't have to be brain surgery. Feel free asking your tween exactly what it is they want. Like most opinions they have, chances are they won't hesitate in having their voice heard. tween boys are starting to long for muscle, while girls' changing bodies are giving them desires to stay fit. Help your tween go through their impending metamorphosis the healthy way by purchasing fitness gifts. From exercise videos to weights to cookbooks, there is a wide range of choices available for those who like to stay healthy. Scott Cole hosts a workout DVD for kids and tweens through the sixth grade; it's called Get Fit America. You can find it at your local Best Buy and on the company's website. You can also find the book, "303 tween-Approved Exercises and Active Games," at Books-A-Million. Be careful not to buy exercise gifts in such a manner it may imply you find the tween's body to be unacceptable. Many youngsters within this age range are at the height of sensitivity. Instead, set an example with your own workout routine or take the birthday girl or boy with you to pick out their gift. Getting a gift card from a store specializing in exercise items but also selling other choices is a great way to conquer this grey area. Remember that some tweens are more gracious at accepting gifts than others. Some prefer to play it cool when opening presents in front of friends, even if they are longing to jump and down with excitement. Gently remind your tween to show gratitude if they resist. However, keep it mind that you did your best to find just the right gift for your tween and do your best to enjoy the gifting for what it is. It's a great way to communicate how much you care about your tween and acknowledge how well you know and love him.